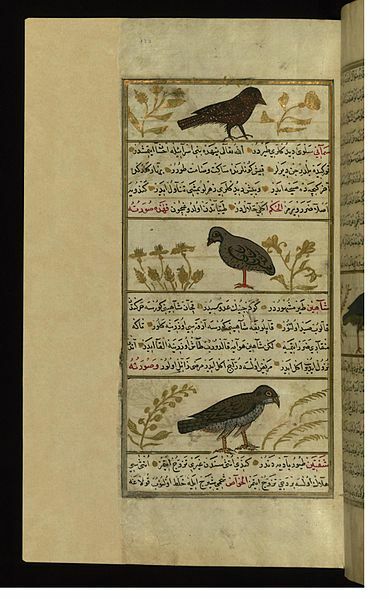 “Birds,” writes Albertus Magnus, “generally call more than other animals. This is due to the lightness of their spirits.” Although Albertus here employs “lightness” (levitas) as a technical term, the broader valences of the word are very significant; a lightness of spirit does not only indicate one who is fickle, flighty, and unconcerned with the problems of the world (as we see in its cognates légèreté in French and levity in English), but can also suggest a state of moral purity and innocence. The etymological relationship between lightness (levis) and light itself (lux, both from the Indo-European root leuk-) adds another level of interpretive meaning—as Dante illustrates in the Divina Commedia, sin is both dark and heavy, a kind of moral weight that crushes the body and hinders spiritual progress. As creatures of light and levity, whose wings take them beyond the borders of terra firma that demarcate the domain of man, birds can be seen as residing in a state of proximity to the spiritual world that no other living thing may access; their myriad and musical songs only reinforce their depiction as bearers of secret knowledge, concealed by a secret tongue.